Brunch N' Cupcakes: Two New Recipes and a CookBook Recommendation! Is your week going well, glad it is the middle of the week? Hard to believe it is already Wednesday, the week is flying! I am a bit behind on getting this weeks Pin Challenge Recipes to you. But I will admit there recipes are not on my pin board, they are actually new recipes I got from my sister! Since I have an abundance of Quinoa I decided I needed a few recipes featuring the lovely grain! This first recipe stuck out to me, you all know how much I love stuffed peppers. But never before have I made a stuffed tomato. The second recipe just sounded delicious, hot weather always puts me in the mood for a big salad! And the fact that this salad featured broccoli one of my favorite veggies, I was all for it! And while I am on the topic of food, I have to share a cook book with you that I am in need of picking up! 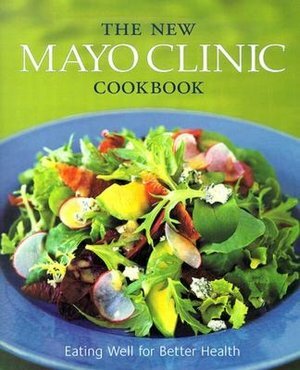 The new Mayo Clinic Cookbook. My sister has this cook book, and I copied a few of the recipes out of it! The Tabouli is amazing! I highly recommend getting this one! thanks for the recommendation! those dishes look delish!